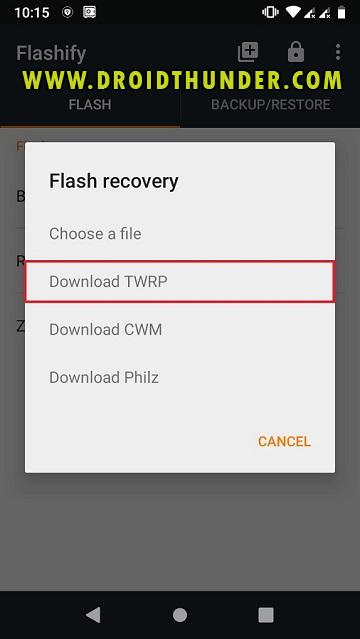 Install TWRP Recovery without PC on any Android device. 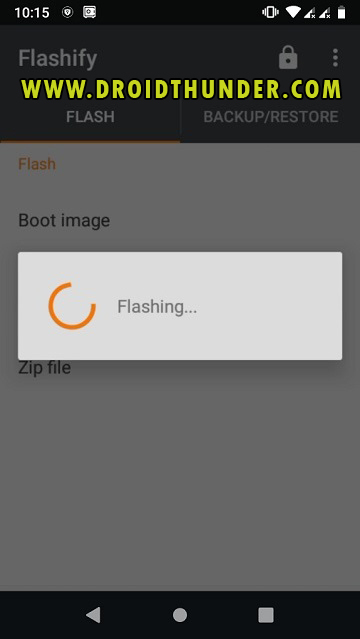 Download latest TWRP 3.2+ using Flashify app. 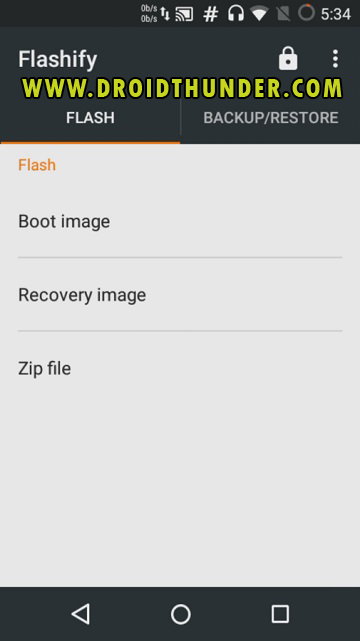 To install TWRP recovery via fastboot or terminal emulator, we require computer. It is a complicated task because it involves use of lot of commands. Due to which it becomes difficult to install TWRP recovery on any Android phone. As a result, to avoid this, we’ll discuss another method to install TWRP Recovery without PC and without fastboot on any Android device. 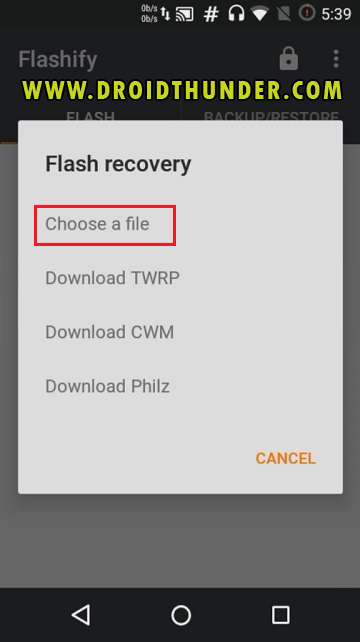 Here in this guide, we will use Flashify app to install TWRP recovery without PC. Flashify is a free app available in Google Play Store. 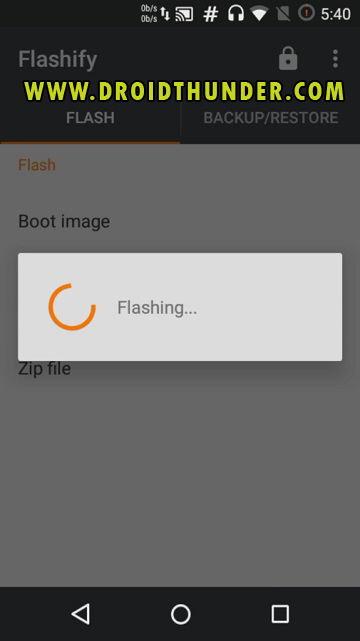 You can flash IMG files such as CWM or TWRP recovery with this app. In addition to that, you can also flash boot, zip file, wipe dalvik, data cache without even entering any recovery mode. Besides, you can even download and install gapps, kernels, mods like Magisk or Xposed installer etc. Along with that, you can use Flashify to backup and restore stock recovery, custom recovery and stock kernel. You can save this backup data on Dropbox, Google Drive or your phone’s SD card. TWRP (Team Win Recovery Project) is an open source custom recovery for Android devices. It provides complete touchscreen based interface which allows user to root Android via Supersu and Magisk. Other than that, you can also use TWRP to flash third party custom ROMs, flash kernel, mods, take nandroid backup etc. It is, therefore, often preferred over the famous ClockworkMod (CWM) recovery. 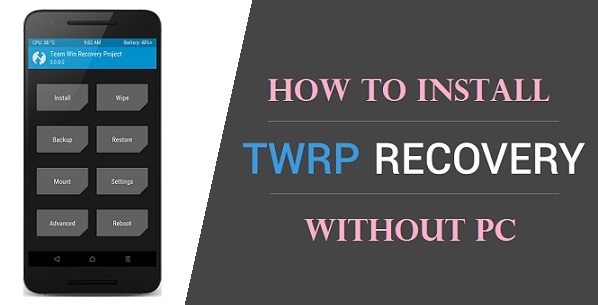 In this easy steps guide, we’ll discuss on how to install TWRP Recovery without PC on any Android device. 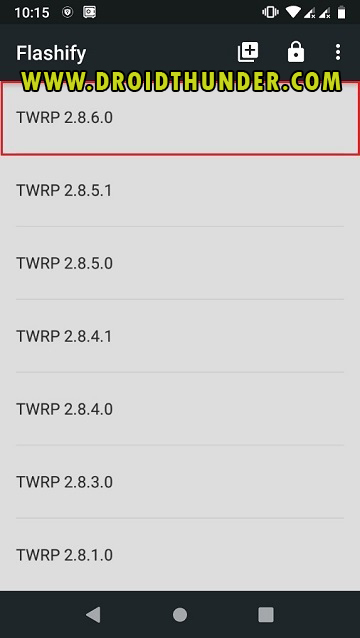 Step 1: Download latest TWRP recovery on your Android device. Step 2: Also download and install Flashify app. 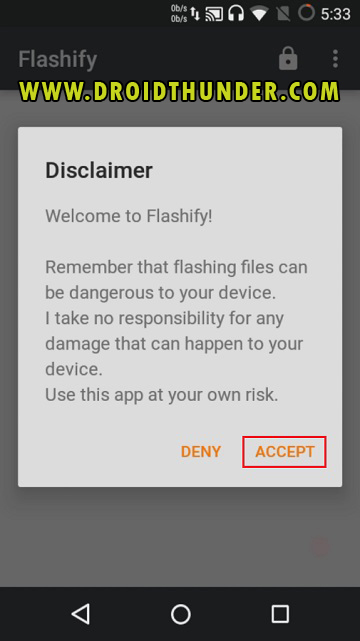 Step 3: Launch the Flashify app and Accept the disclaimer given. Step 4: The app will ask for root permissions. So click on Allow. 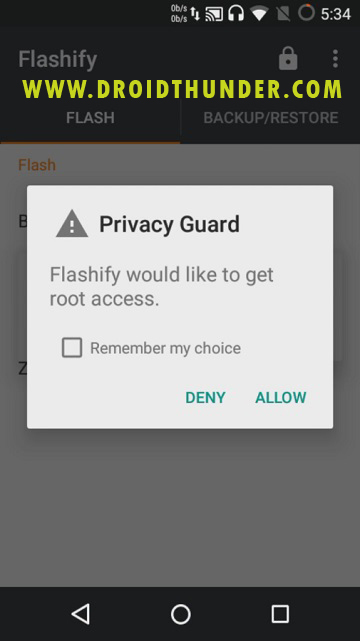 Once the root access is confirmed, the main menu of the app will appear. 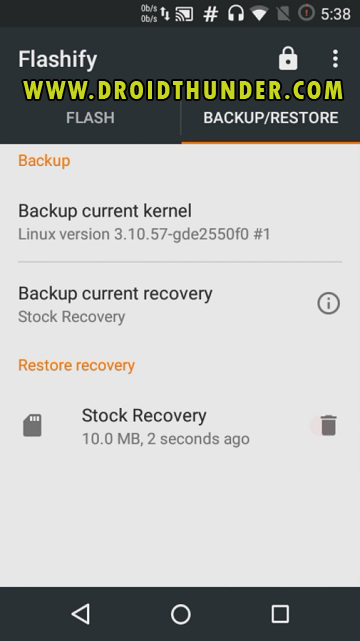 Note: Before flashing TWRP, it is necessary to backup your existing stock recovery. 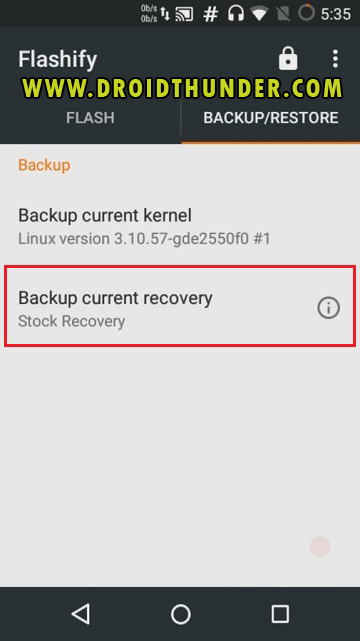 This is highly recommended because if this TWRP flashing fails, then you can easily revert back your existing stock recovery. Step 5: For taking backup, click on the Backup/Restore tab. Step 6: Then select the Backup current recovery option. 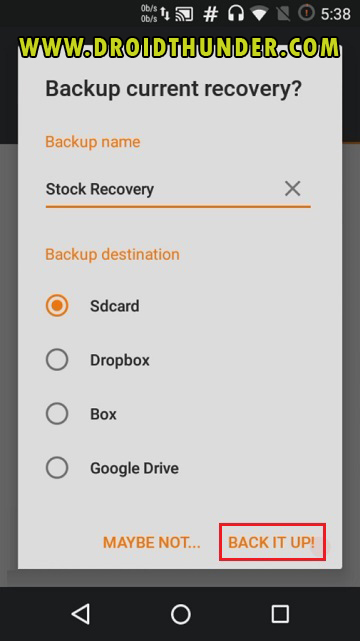 Step 7: Choose the backup destination as per your need, and click on Back it up. The stock recovery backup process will begin. 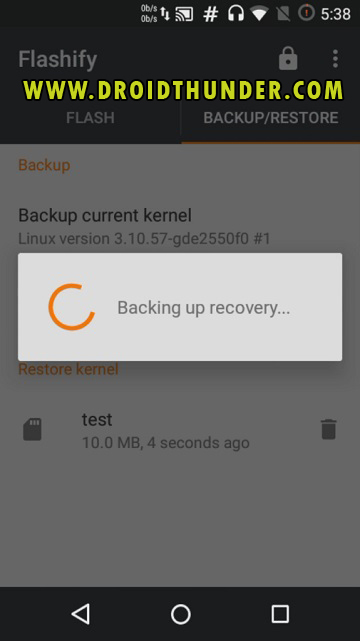 After the stock recovery is successfully backed up, let’s flash the downloaded TWRP recovery from Step 1. 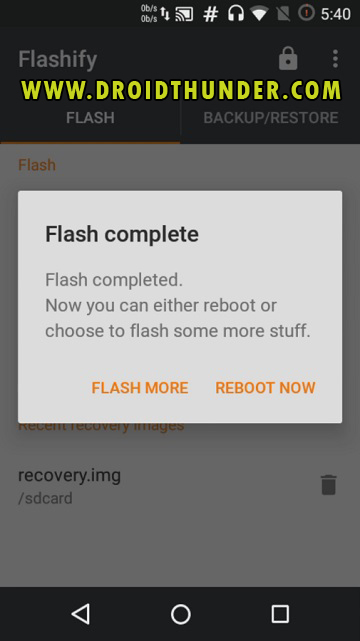 Step 8: From the Flash tab, click on the Recovery image option. 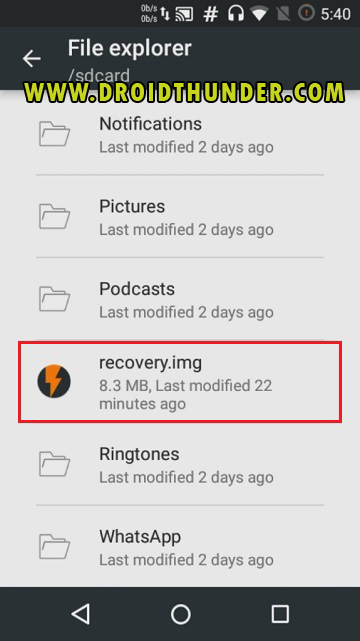 Step 9: Select the downloaded TWRP recovery file now. So click on Choose a file option. 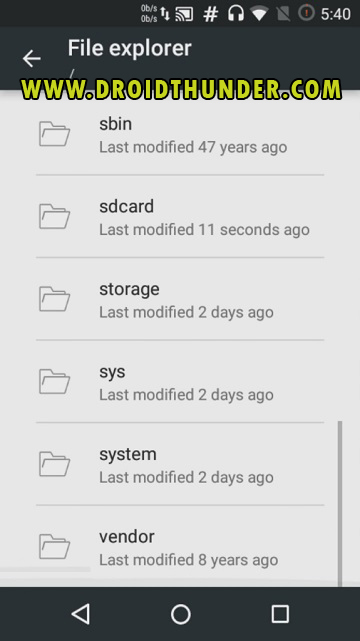 This will show files and folders present on your device. 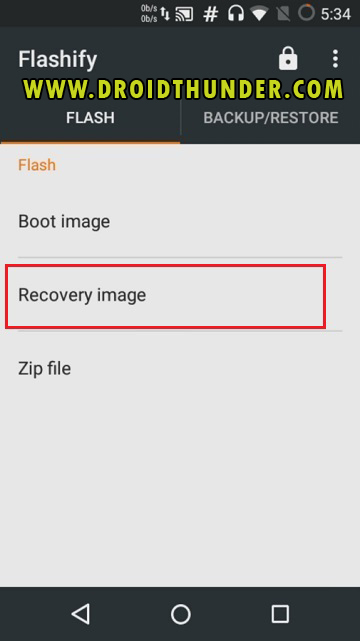 Step 10: Just navigate to the downloaded TWRP recovery file (from Step 1) and select it. 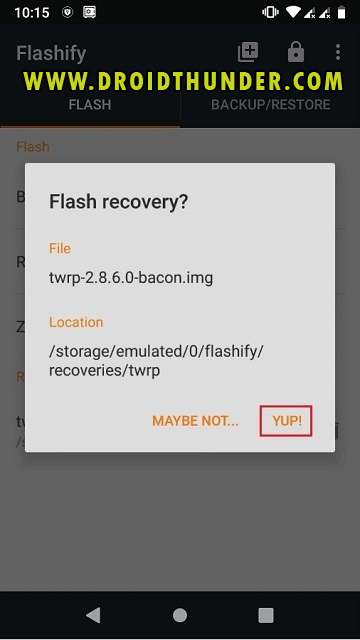 Step 11: To confirm the flashing of TWRP recovery, click on Yup. The TWRP recovery installation process will start. The flashing process will complete within few seconds. A message saying Flash Completed will popup after the installation completes. 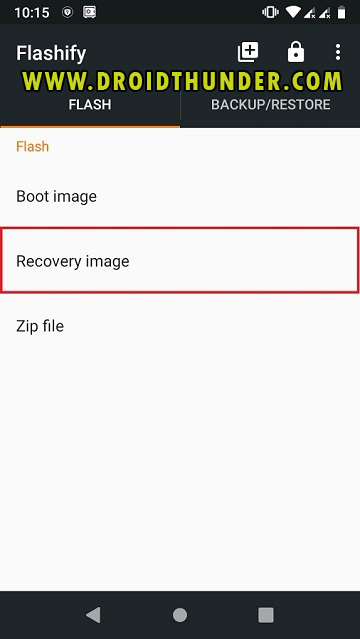 Click on Reboot now option to enter your Android device into TWRP recovery mode. Finally! The process to install TWRP recovery without PC is completed successfully. Note: Implement Step 2 to Step 7 from Method 1 given above. Then follow this method. 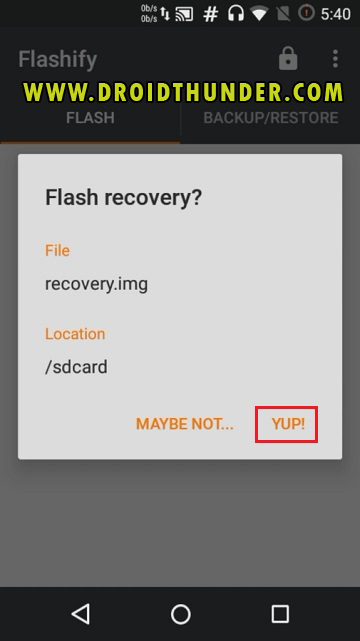 Step 1: From the Flash tab, select Recovery image option. Step 2: Click on the Download TWRP option. Step 3: This will show a list of Android devices. So search for your device and select it. 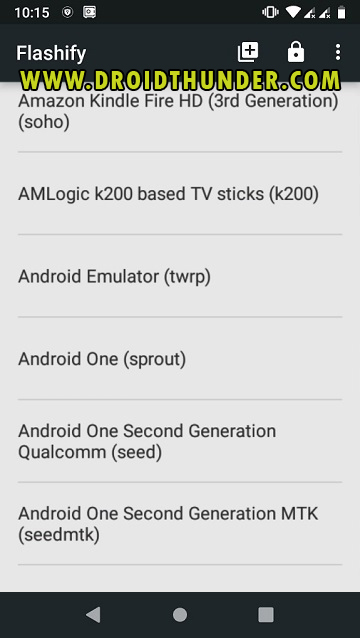 Step 4: Then a list of TWRP recoveries for your selected Android device will appear. Just select the latest one. Step 5: Click on Yup to install TWRP recovery without PC on your Android device.